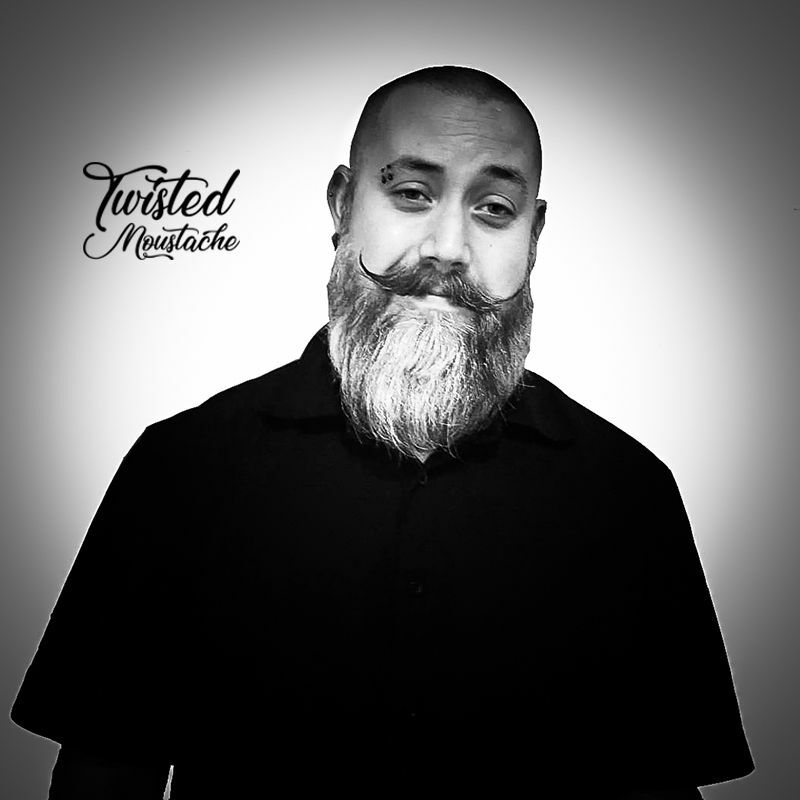 I started Twisted Moustache as lifestyle and grooming blog. I wanted to create content that was relatable to the modern man, content about grooming, beards and maybe fashion. The funny thing is, that I found myself creating more and more content around beards, so naturally, that’s where the brand progressed to. I started to join the bearded community on Instagram and Facebook, and it didn’t take long for me to realise that there was a real connection, brotherhood and something really special here. I wanted to be more of a part of this extended family. 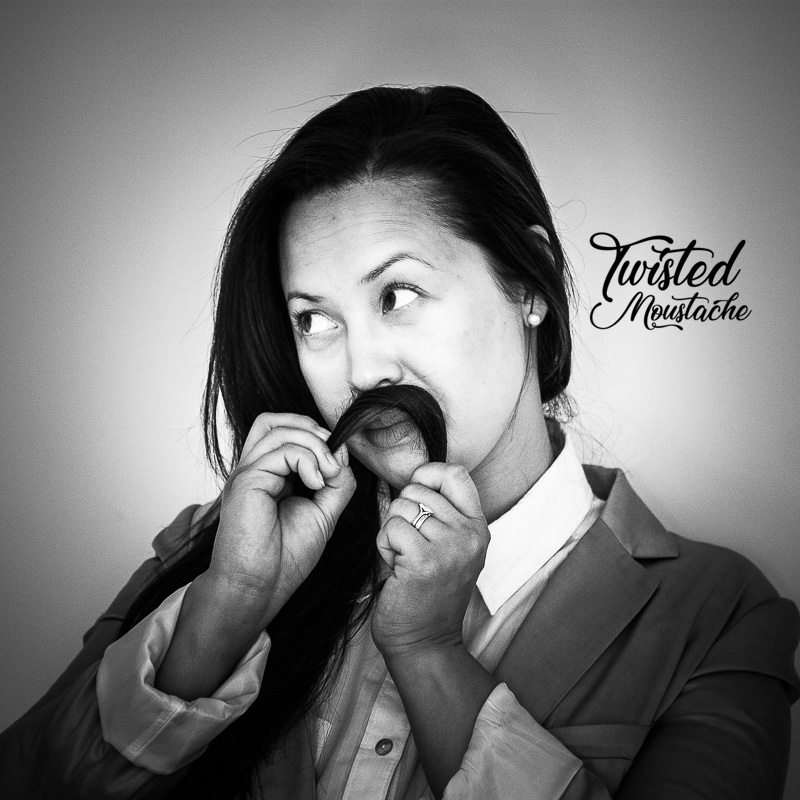 Taking Twisted Moustache to the next level and creating our own products was an easy decision for us to make. It became something that we love to do together and ultimately allowed us to become closer as a family, but also our extended family in the bearded community. 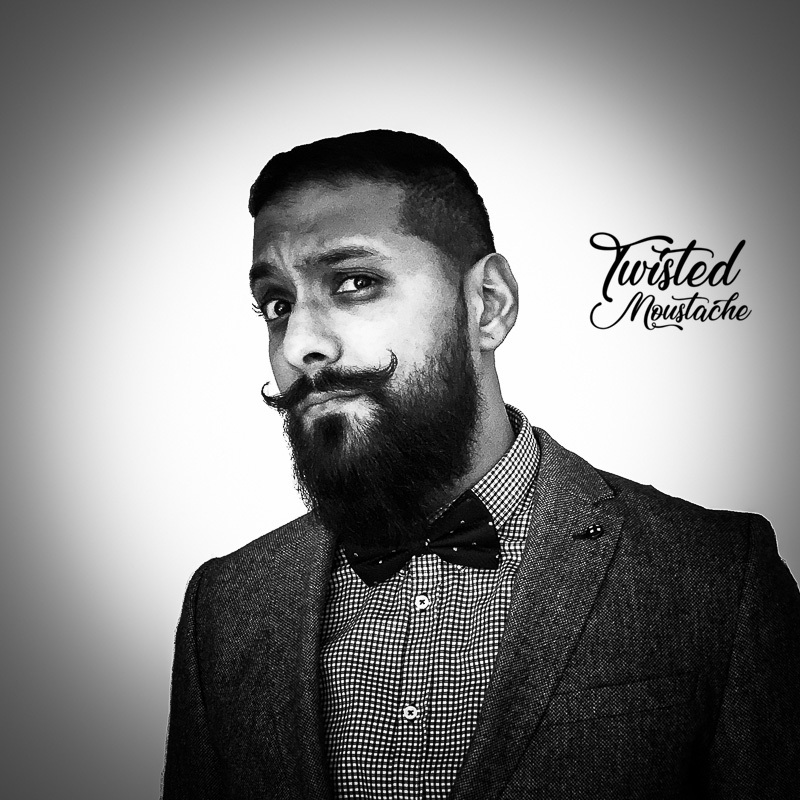 As Anil mentioned above, Twisted Moustache started as a growing blog hobby in his spare time. I created the branding and we quickly realised that we loved it so much that we'd be silly not to use our brand to make and sell good quality products to other bearded men. I like to think of myself as a creative person. 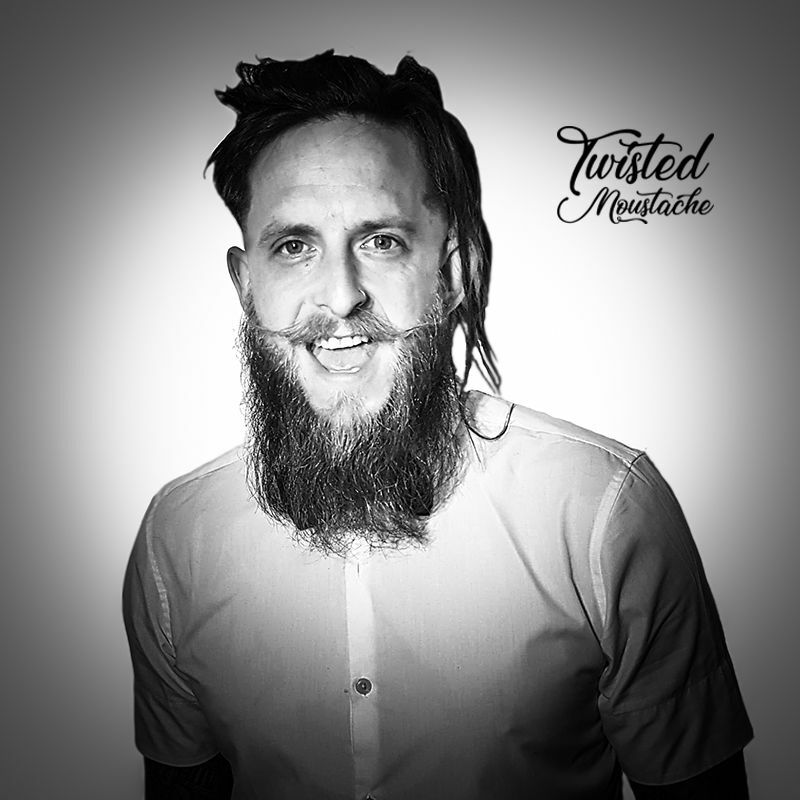 I've always enjoyed making and designing things, so setting up the Twisted Moustache brand with my self-taught PhotoShop skills and researching and making the products has been an exciting journey, which I hope will continue you for years to come. I'm looking forward to where we can take Twisted Moustache as a team and a family, whilst always remaining as a handmade small batch company. I'm Scarlett and I'm 5 years old. When my Mummy and Daddy started on this beard care brand journey, I didn't really know what it was all about. I knew that my Daddy had a beard and he put stuff in it to make it feel nice and smell nice, but why!? Just over a year later and I now know what it's all about. The house is always smelling good with essential oils after a day of Mummy making some products and I know how good they are for my Daddy's beard and skin. I don't ever want my Daddy to get rid of his beard. It's who he is! As I'm only 5 years old, I don't have a full-time role in the business, but when I'm home from school, I have been known to dabble in packing orders up with Mummy and giving some of the products a good 'sniff test'. To be given the chance to be an ambassador was one I never thought I would get, but it feels right to be with Twisted Moustache. I have to say, that if I don’t believe in something I won’t put my name to it. I started out with stubble and then wanted to be a HIPSTER!! I am so glad I grew out of that phase. Anyhow, I am growing the beard out to see how long it will get before I am officially an old man. I am 50 this year and just loving the bearded roller-coaster. 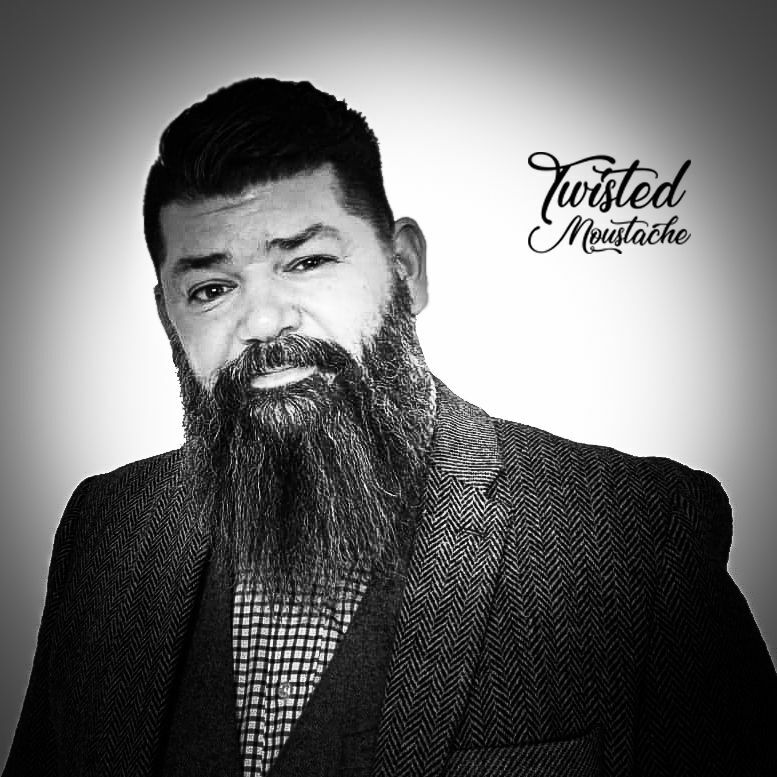 As well as being lucky enough to be an ambassador for Twisted Moustache, I am a fully patched member of Bearded Villains, a worldwide club of 97,500 bearded men. The villain patch has to be earned, we promote and raise money for numerous charities both in the UK and worldwide. In my time as a proud Bearded Villain, we've raised money for Ronald McDonald house in Birmingham, Autism charities in the north, Domestic Violence charities in Scotland, as well as a wolf sanctuary in the USA amongst others. We also have plans to raise money for veterans suffering from PTSD. I'm Jack, but I prefer to be called Jacko! This is my second face of fur and I think it will be my last - I'm never shaving again! I started growing my beard on and off around three years ago, but now I'm all about grow, grow, growing! I have recently bought a house and a French bulldog with my girlfriend. I like to play darts and snooker, which I play once a week for local teams. I love tattoos and bearding among spending time with my girlfriend, friends and family. I have many tattoos. Both my arms are full of them, but also my hands, fingers, chest, neck and left leg! A lot of my tattoos were sketched by friends and family! I first heard about Twisted Moustache on a beard group on Facebook called Home Of The Beardos. Since I started using Twisted Moustache products I just can't get enough, I love the beard oil scents and still can't pick a favourite. My beard feels and looks great and much healthier. I feel truly privileged to be part of this great team and looking forward to helping them grow as a business. I've had many different styles of facial hair over the years and have rarely been cleanly shaven. I started growing a full beard at the start of 2018 and haven't looked back. For me, growing a beard has led me to meet some awesome people through various beard groups. I'm married and we have 3 beautiful children together. I earn my living by working in a concrete factory. It can be very harsh on the beard and that's why it's important to use quality beard products to keep my beard feeling and looking great. I was first introduced to Twisted Moustache via the Home Of The Beardos Facebook group and just loved their products from day one. The Handlebar Joker beard oil is my go-to scent but they have not made a scent yet that I don't love. I'm very honoured to be a part of this great team at Twisted Moustache and I'm very excited for all the future products they have in store.